The island received its name for the fact little penguin burrows were mistaken for rabbit holes and the island has also been historically referred to as Rabbit Island. In 1936 and 1938, the penguins of Mistaken Island became victims of deliberately lit fires. Following the latter event, some were discovered with their feet "burned off". As of 2011, the penguin colony on Mistaken Island is the subject of scientific study. 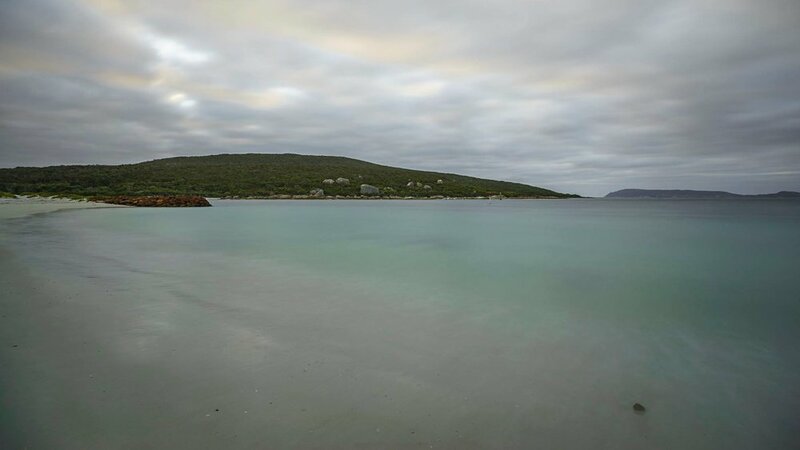 Misery Beach is a peaceful secluded beach, sheltered from the prevailing winds and swell with beautiful views of King George Sound with its rugged coast and islands. It is only about 200 metres long with pristine squeaky white sand. 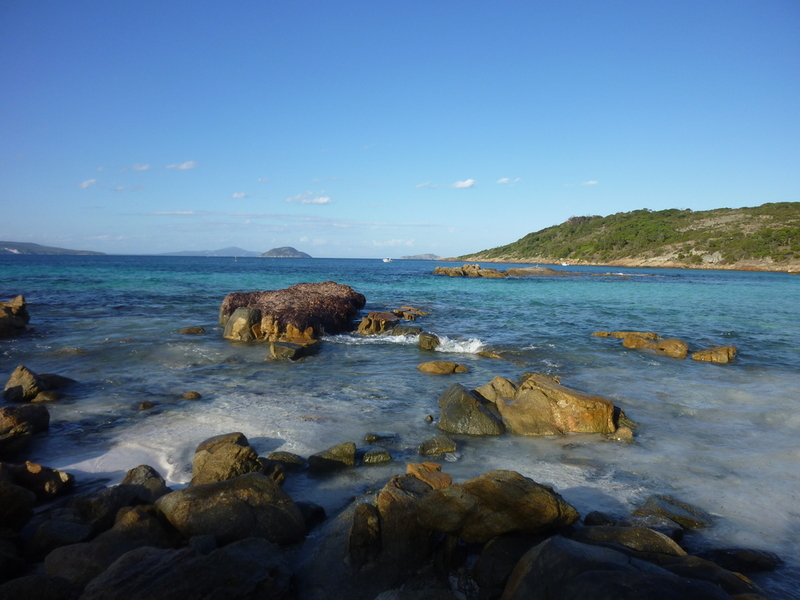 An impressive granite headland - part of Isthmus Hill - forms one end, while a rocky point marks the other. On a clear day you can see the tops of the Stirling Range. I am not sure where the name comes from but as the whaling station is just a few hundred metres away, maybe it was named back in the time it was still operating, when the whale blood would wash ashore here. Today it is a beach to enjoy and contemplate life as you listen to the soothing sounds of the waves. Lake Vancouver is the only freshwater wetland on the Vancouver Peninsula and is a significant source of water for fauna in the area. It is found within a Nature Reserve, located on the Vancouver Peninsula, about 200 m west of Goode Beach on Frenchman Bay. Because of its pristine condition and unique position so close to the ocean, the Lake Vancouver wetland is listed in the South Coast Significant Wetlands Database and is currently being used as a case study to help determine wetland buffer zone guidelines for Western Australia. Public access has only been allowed to this amazing fresh water lake since 2012 which has contributed to its unique and pristine condition. It really is an amazing spot to visit, relatively untouched by humans and protected for future generations to enjoy. The Frenchmans Bay Association erected a Bird Hide to share this natural wonder with locals and tourists alike and encourage an appreciation of the wetlands and bird life. It is accessible from La Perouse Road in Goode Beach, or from the car park nearby with access to the beach which winds around the back end to meet up with the bird hide track walk. The perfect place to relax, Emu Point consists of a grassy sheltered lawn area ideal for picnics, calm shallow waters to wade in and and clear calm waters for safe swimming. Emu Points beach is also popular for fishing and boating. Emu Point Cafe is the perfect place to relax and enjoy a light lunch and coffee. The Point itself is a rocky groyne with views over King George Sound and Middleton Beach from the northern end. 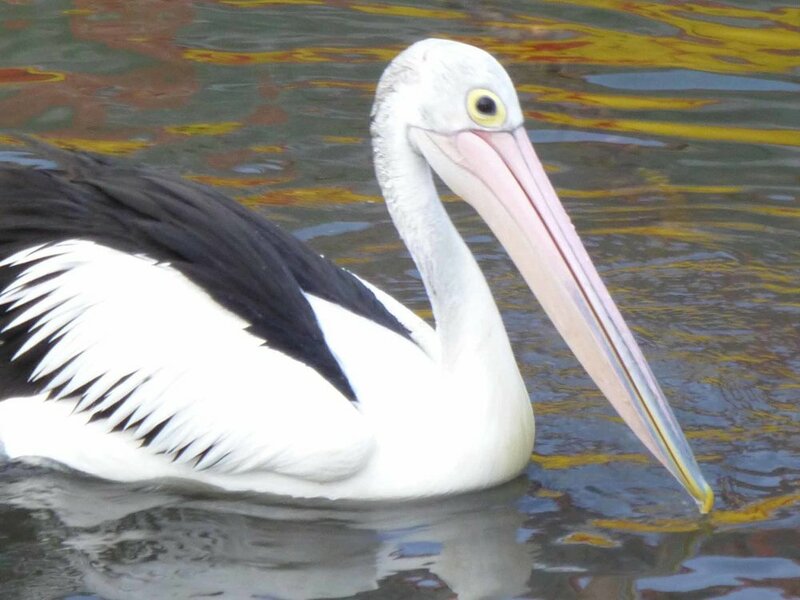 Enjoy watching the fisherman come in with their catch and feed the pelicans. Amelup is a small town in the Amazing South Coast region of Western Australia located on Chester Pass Road. The Amelup service station is located 9 km North of the Stirling Range National Park situated between the Stirling Range and Borden. The area was opened for selection in 1928 with over 400 acres being allocated.Most land is now used for cereal cropping and sheep grazing for both wool and meat production. Amelup Service Station is situated nine kilometres north of the Stirling Range National Park, surrounded by the picturesque Stirling Range and wide open farming lands. Look out for the town's comic "Nudist Crossing" and toilet blocks sectioned off with the descriptions of ewes, rams and doggy post. The perfect place to relax, Emu Point consists of a grassy sheltered lawn area ideal for picnics, calm shallow waters to wade in and and clear calm waters for safe swimming. Emu Points beach is also popular for fishing and boating. Emu Point Cafe is the perfect place to relax and enjoy a light lunch and coffee. They also make awesome burgers. The splendid fairywren (Malurus splendens) is a passerine bird in the Australasian wren family, Maluridae. It also known simply as the splendid wren or more colloquially in Western Australia as the blue wren. The splendid fairywren is found across much of the Australian continent from central-western New South Wales and southwestern Queensland over to coastal Western Australia. It inhabits predominantly arid and semi-arid regions. Exhibiting a high degree of sexual dimorphism, the male in breeding plumage is a small, long-tailed bird of predominantly bright blue and black colouration. Non-breeding males, females (The female resembles the non-breeding male but has a chestnut bill and eye-patch) and juveniles are predominantly grey-brown in colour; this gave the early impression that males were polygamous as all dull-coloured birds were taken for females. It comprises several similar all-blue and black subspecies that were originally considered separate species. Like other fairywrens, the splendid fairywren is notable for several peculiar behavioural characteristics; birds are socially monogamous and sexually promiscuous, meaning that although they form pairs between one male and one female, each partner will mate with other individuals and even assist in raising the young from such trysts.Male wrens pluck pink or purple petals and display them to females as part of a courtship display. Torbay is a small town and a bay in the Great Southern region of Western Australia, 20 kilometres west of Albany. Torbay is within the City of Albany local government area. The Torbay townsite was gazetted in 1910. The Torbay area is on the eastern fringe of the karri forest region, and with some notable blocks of remnant tall forest. Large granite outcrops are also common. Beaches on the bay tend towards fine white sand. Where streams occur, they are clear but stained dark brown in colour from high-tannin-content vegetation. The town is named after Tor Bay,a bay on the coast to the south originally named by Captain Matthew Flinders in 1801 after Tor Bay in Devon, the home port of Admiral Richard Howe's Channel Fleet, for whom Flinders had served as a midshipman from 1793 to 1794. Admiral Howe's nickname was "Lord Torbay". Flinders identified a number of local features with Lord Howe-related names, including Torbay (the bay), Torbay Inlet, Torbay Head and West Cape Howe (originally named Cape Howe by George Vancouver), to avoid confusion with James Cook’s Cape Howe in New South Wales. Pre-settlement explorers of the Torbay area included: Matthew Flinders, Robert Brown, Ferdinand Bauer and William Westall (Dec. 1801);Thomas Wilson (Dec. 1829);Roe and Stirling (Nov. 1835) and Charles Codrington Forsyth of HMS Pelorus (1838). A shore whaling station was established on the beach at Tor Bay behind Migo Island in 1844. Whales were taken during the periods 1844-1846 and 1861-1864. In 1886 railway contractors C & E Millar established sawmills at Bornholm to supply timber for the construction of the Great Southern Railway (Beverley to Albany railway). Timber was initially shipped out by lighter, schooner and the small steamer Active from Port Harding (Migo Island) to Albany, and later by tramline to Elleker. In 1889 the Torbay Estate, of 22,000 acres, was granted to Millars in consideration of extending the railway from Elleker to Torbay and establishing working sawmills there. The two Bornholm mills were shifted to Torbay and enlarged.A prosperous timber settlement was in evidence at Torbay for about six years. The estate concession extended from Wilgie Hill, at the Albany end of Torbay, to Youngs, the timber being hauled by tramline from 20 miles beyond Torbay as far as Hay River, before the mills were finally moved. [1By 1895 most of the suitable timber at Torbay had been felled. The railway was again extended to Denmark in 1896. In 1898 Millars Karri and Jarrah Forests Limited offered the Torbay Estate back to the government provided they could retain ownership of the strip of land occupied by the Elleker-Torbay railway, which under their contract was to revert to the government after 14 years. The land was subdivided and sold for agricultural purposes in 1900. Local industries include dairy farming, beef cattle, plantation forestry, specialist horticulture, arts and crafts and tourism, along with rural businesses that service farmers (mechanics, lime supply, machinery and labour hire etc.). A seasonal commercial fishing industry occurs within the bay based on catches of herring and Australian salmon during the February–April period. Torbay has been a traditional potato growing area for over a century, particularly for seed potato production. While some pumpkins are grown and the area is suitable for cauliflower production, potatoes are the major horticultural crop. The area currently produces about 50% of Western Australia’s requirements for seed potato production. Tor Bay, which includes Port Harding (named in 1838 by master's mate Charles Forsyth after Captain Francis Harding of HMS Pelorus) and Port Hughes (named in 1831 by Roe after Private Thomas Hughes of the 63rd Regiment) as well as Torbay Inlet, lie between Torbay Head and Stony Island. Torbay Head is the most southerly point on the mainland of Western Australia and the most western point of the Great Australian Bight. Islands within Tor Bay include Migo Island, named after the Swan River native Migo, Richard Island, named after Admiral Richard Howe, both by Roe in 1835; and Shelter Island. 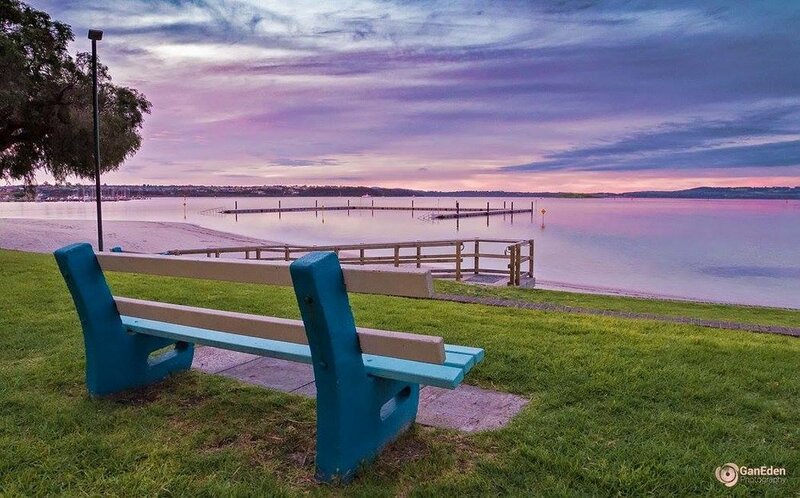 Popular beaches on the bay include Perkins Beach, Muttonbird Beach and Cosy Corner, all accessible by car. 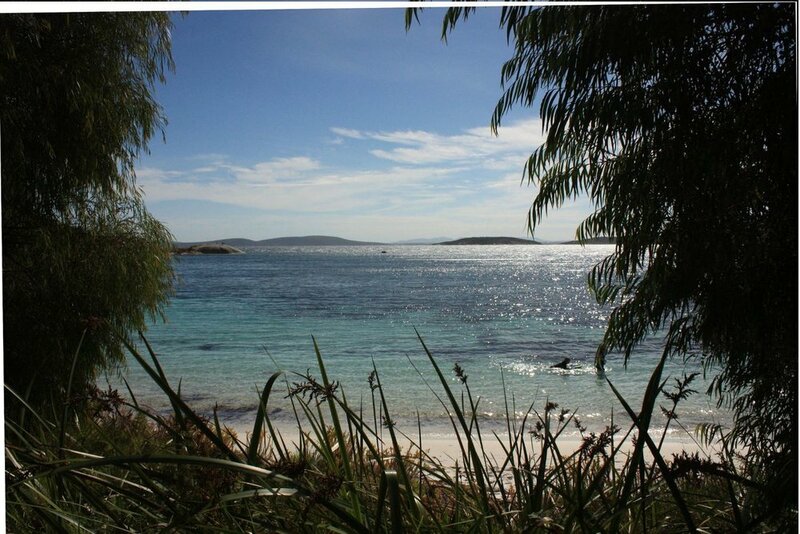 Cosy Corner is the most well-known, a popular family beach with picnic and camping facilities. Children's swimming lessons are held there in the summer. There are other beaches that are accessible only by four-wheel drive vehicle. The Bibbulmun Track passes around the edge of the bay, coming down long steps from the steep hills above Cosy Corner and following the beach around the curve of the bay and across the mouth of Torbay Inlet to near Shelter Island.